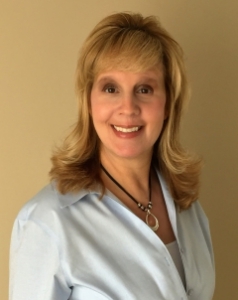 Paula has been a Naperville resident for 17 years, and enjoys living in the Chicagoland area. She and her family have had four relocations with her husband’s job over the years, so she is very familiar with moving to a new city and having to establish roots with a young family. She is also knowledgeable with the home construction and design process, as two of her family’s homes were new builds. Paula is originally from western Pennsylvania and graduated from Westminster College, New Wilmington, PA with a B.A. degree in Business Administration and Accounting. With prior experience in the financial services field, she has a great attention to detail that will ensure your real estate process is completed accurately and handled efficiently. After leaving the financial sector to pursue a career in real estate, she has thoroughly enjoyed meeting and working with new clients, and wants to continue the experience with you! Paula and her husband are now empty nesters and they like exploring restaurants and going to cultural events in downtown Chicago with family and friends. She also is involved with Pilates and volunteering with various alumni associations. Paula will bring the highest level of integrity, knowledge, and customer service to fulfilling your real estate needs whether it’s buying your next dream home, or selling your current home. She will work diligently on your behalf, throughout the process, from start to finish.